New Year is time to welcome newness in life along with the New Year. Resolutions, new habits and expression are a great way to welcome the year. As the world celebrates the eve of another new year in style, remind your loved ones of your love and bond by wishing them first with world’s classiest gifts – flowers! Express your feelings along with a personalized message and start the year with an emotional touch. Surprise your friends staying in any city in India or in any part of the world with world-class flowers that speak tons! Flowers make any occasion special. The aura, the grace and the happiness carried forward by flowers are beyond words. Sending flowers to any place has become easier with online delivery options. But it is difficult to choose authentic one among the numerous options available. Bookaflower, serving upto 180 countries and 108 cities in India is one of the most reliable and trusted flower delivery service providers in India. 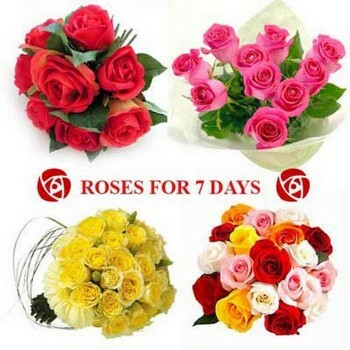 Sending New Yearflowers online is easy, reliable and trustworthy. With bookaflower.com send flowers to your loved ones on New Year and be a part of their joy. Send flowers on the same day and make up the perfect last minute gifts! Flowers speak tons, especially when combined with the perfect gift. We, at bookaflower.com offer various gift options for New Year. With a click, send amazing flowers and New Yeargifts to your friends and relatives on New Year. A customized message would be a lovely addition to the combo! Cakes have become an invariable part of any celebration. Send a special cake to your friends on New Year and convey your love elegantly. Send flowers and New Year cakes to any city in India and to any country with just a click. We offer various New Year cake designs that you and the receiver just can’t stop loving! A cherry on the cake, we also offer midnight delivery of New Yearcakes so that you won’t lose a minute to celebrate! With loved ones located in some other part of the world, celebrating together any occasion isn’t easy. Make up for the absence by sending beautiful and radiant flowers to your loved ones on New Year. We offer flower delivery to most of the countries in the world. With Bookaflower.com, send New Yearflowers to United States, send New Yearflowers to United Kingdom, send New Yearflowers to Canada, send New Yearflowers to Australia, send New Yearflowers to UAE, send New Yearflowers to China, send New Yearflowers to Germany, send New Yearflowers to Singapore, send New Yearflowers to Hong Kong, send New Yearflowers to New Zealand, send New Yearflowers to Qatar and send New Yearflowers to any other country with ease. Whichever corner of the world your loved ones are in, we greet them and deliver your love along with beautiful flowers and gifts. Distance doesn’t matter anymore with bookaflower.com. Sending flowers to any part of the country is now just a click away. Send New Yearflowers to Delhi, send New Yearflowers to Mumbai, send New Yearflowers to Pune, send New Yearflowers to Hyderabad, sendNew Yearflowers to Bangalore, send New Yearflowers to Chennai, send New Yearflowers to Ahmedabad, send New Yearflowers to Cochin, send New Yearflowers to Chandigarh, send New Yearflowers to Gurgaon and send New Yearflowers to any city in India on the same day and wish your friends on new year wonderfully! We at Bookaflower.com ensure same day delivery that too within 6 hours of the order.